Tooth Bud: Old wives' tales and the supposition that even adult teeth won't last a lifetime contribute to poor dental health for California's kids. When Sandra Echavarria's son Yamel was a baby, she noticed that his upper front teeth had started to turn brown. Echavarria admits she had been "slacking off" when it came to Yamel's teeth. The baby drank a lot of orange juice. Sometimes, he even went to sleep with a bottle of juice in his mouth. The spots on Yamel's teeth worsened. When Echavarria finally took him to the dentist, she was shocked to learn that her son had developed early childhood caries (ECC), otherwise known as "baby bottle tooth decay." His teeth had decayed to the point that they had to be taken out. "It was pretty scary for me," says Echavarria, who now works as a dental coordinator for Pediatric Dental Initiative (PDI) in Santa Rosa. "And it made me feel pretty bad." Yamel's problem is surprisingly common. According to PDI, an estimated 20,000 children, newborn to age five in Sonoma, Lake and Mendocino counties, have ECC. Of those kids, some 3,000 have severe or advanced tooth decay that requires anesthesia to treat. "These kids are in pain," says Louis Pontick, program coordinator for PDI, a program that tries to meet the dental surgery needs of children with ECC in those three counties. "I didn't really understand how big a problem it was until I went into the schools on some of our dental screenings. All these little kids had black teeth." Dental disease among young children is an ignored problem in California. The Dental Health Association (DHA) in Oakland surveyed the mouths of over 21,000 California elementary kids in almost 200 randomly selected schools--including several in the North Bay--and found that 71 percent of the students had a history of dental decay. In fact, according to the available statistics comparing 25 states, the only state that did worse than California when it came to kids and dental care was Arkansas. "Actually, we're not 100 percent sure that Arkansas is worse," says Wynne Grossman, executive director of the DHA. "That data is five years old, so we may actually be worse than Arkansas now as well." Statewide, the DHA estimates that some 750,000 children--28 percent--currently have untreated tooth decay. Out of that number, 138,000 kids have such bad teeth that they need emergency care. Decay is much more prevalent among low-income and Latino children, especially in cases where people do not have dental insurance. While dental disease is not talked about as much as other health issues such as obesity or diabetes, it is the largest health problem facing California kids today. "No other disease affects the number of children dental disease does," says Grossman. "All diseases have very, very serious consequences, but very few of them cause as much pain to such a huge number of children as dental problems do." In 2003, the Child Health and Disability Prevention program identified the most common health problems among children. More than 3,700 dental conditions were identified, meaning that dental problems made up 41 percent of the total health problems plaguing California kids. Sonoma County's kids appear no better off than the rest of the state. At the recent Give Kids a Smile day held in the St. Joseph Mobile Dental Clinic at the Santa Rosa Junior College, 146 kids received free dental care. Of those, 26 percent had dental decay. Another 26 percent had urgent dental problems that needed immediate care. "So 52 percent of those kids were in need of oral hygiene and preventive care," says Kathy Ficco, executive director of St. Joseph's Community Health. "We see so many kids where the decay is so severe. And in many cases, they are too young to sit still in the dental chair, so they have to use anesthesia to treat them." Naturally, the prevalence of junk food, soda and juice in children's diets is a major cause of tooth decay. The bacteria that cause dental cavities feed on sugar and carbohydrates, and then excrete an acid that wears away the tooth's structure. By the time California kids enter kindergarten, 54 percent already have a history of tooth decay. Much of this comes from parents allowing their children to go to sleep with bottles of sugared beverages in their mouth. Doing this regularly can set the child up for ECC, as well as other problems like obesity and diabetes. "It's not the amount of sugar you let your kid have, it's the frequency," says Pontick. "If you let the kid go to sleep sucking on a bottle of juice, the sugar is sitting there all night on the gums and teeth." Other parents ignore oral hygiene altogether. Because California is such a diverse state, many residents originate from countries where oral care is not stressed or paid attention to. These people often don't know to teach their children about brushing and flossing, according to the DHA. "California is very diverse with a large immigrant population," says Grossman. "In many countries, you don't expect to keep your teeth into adulthood. They have so many other issues they are dealing with that oral health is just not a priority." Many parents don't think that baby teeth are important. They believe that since baby teeth fall out anyway, they are not a big deal and don't need particular care. Yet this is emphatically not the case. 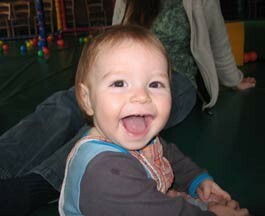 Baby teeth hold spacing for the adult teeth, which helps keep them from coming in crooked. The bacteria that corrode baby teeth often linger in the mouth and affect emerging adult teeth. In addition, infection caused by tooth decay can spread to other parts of the body, including the ear, sinus, heart and other internal organs. Beyond all that, dental disease affects a child's behavior. Many of the 750,000 California children with dental decay are in constant pain. The DHA found that some of the children didn't even know that chewing was not supposed to hurt. Because of this, some children refuse to eat, which not only keeps them from developing their mouth muscles properly, but can impair their nutritional development. In other cases, the pain is bad enough that the child can't sleep, socialize with other children or concentrate in class. These children can miss a lot of school or have trouble sitting still and listening to the teacher. "Any adult who has had a cavity knows how bad it feels," says Ficco. "Well, it's equally bad for kids." Once tooth decay gets bad, it can be expensive to fix. The DHA intervened with one child whose teeth were so decayed that they were "no more than rotted shells," according to an ensuing report. That child had to go to the hospital, have most of his teeth extracted under anesthesia and then have ancillary treatment for the abnormal heart rate he had developed related to the infection in his mouth. It cost $25,000 to fix. As with many diseases, it's far more expensive to treat dental disease than to prevent it. In most cases, all it takes is educational programs for parents and students about how and why they should brush and floss. Another preventative measure is fluoridated drinking water. Fluoride, which naturally occurs in all water sources, has been proven to slow the rate of tooth decay by as much as 49 percent in baby teeth and 59 percent in permanent or adult teeth. Although nearly two-thirds of U.S. citizens have access to fluoridated drinking water, this is not the case in California. In fact, most California water is not fluoridated. In Sonoma County, only Healdsburg has fluoride in the water. None of Napa County's cities are flouridated while all in Marin County are. Several years ago, the city of Santa Rosa looked into adding fluoride to the water system, but concluded it was too expensive. While some groups plead high cost, others are concerned about whether fluoride is safe or not. Since a high concentration of fluoride is toxic, some antifluoride activists worry that the adverse medical problems, which may include irritable bowel syndrome and thyroid disorders, are not worth the possible benefits of fluoridated water. They also point to fluorosis--a condition that causes yellowing of the teeth, hypothyroidism and brittle bones--which can set in when someone ingests high levels of fluoride over a long period of time. On the other hand, the American Dental Association, the World Health Organization and other respected health institutions recommend low levels of fluoridation in the water supplies. "There is a very active antifluoridation movement in this state that tries to raise doubt about fluoridation," says Grossman. "I don't know why it happened here; most of Southern California is without fluoridation." Some Sonoma County health programs try to find ways to make up for the lack of fluoridation. St. Joseph's Community Health sponsors a program called the Mighty Mouth Dental Health Education, where health professionals go into schools and teach children how to brush and floss. They also provide kids with a weekly fluoride wash, which especially helps children who don't get their teeth checked very often, believes Ficco. "Fluoride halts the progression of the cavity and buys them time until they can get in to see a dentist," she says. But even though the schools recognize the value of the Mighty Mouth program, it can be difficult for teachers to make time in their overloaded schedules to devote time to oral care. "Teachers are more reluctant these days to do those kinds of things," says Judy Baker, a nurse for the Petaluma School District. "With the No Child Left Behind Act, there is a lot of pressure for teachers to always be doing something educational." The equation isn't pretty. The poorer--and darker--a California child is, the more likely he or she is to have tooth problems. Not surprisingly, many poor families simply can't afford dental care. Of the parents who participated in the DHA study, only 35 percent had private insurance. The remaining 65 percent either used government insurance like Medi-Cal or Healthy Families, or had no insurance at all. Some 21 percent of the children had never been to a dentist at all, and another 34 percent had not been for over a year. Latino children had the highest rates of dental decay. Some 72 percent of Latino third-graders had a history of decay compared to 48 percent of white children. Likewise, only 20 percent of Latino kids had private dental insurance, compared to 59 percent of white children. In many cases, parents want to get their children dental care, but found California's public dental health system to be too restrictive or daunting for them to navigate. "We have a very poor public oral health infrastructure in California," says Grossman. "To give you an idea, the state of New York employs 90 people in public oral health. We employ three people." Despite being the fifth largest economy in the world, California's budget seems to always be stretched to the breaking point. Dental care has been regularly pushed aside for larger priorities, believes Grossman. "As a result of 20 years of not doing anything about this problem, this is what we have," she says. Denti-Cal, Medi-Cal's dental service, offers low reimbursement rates, which means that many dentists can't afford to accept it as insurance for patients. And while some programs like the Pediatric Dental Initiative and Mighty Mouth do exist to serve children's dental needs in Sonoma County, it can be hard to meet the need. These factors, along with a lack of public services, can make it difficult to know where to send a child with tooth decay. As of 2003, there were only a handful of private dentists and four clinics with approximately 10 dental chairs available to serve Sonoma County's 32,000 low-income kids. Sometimes patients have to wait as long as three months for an appointment. And in rural parts of the North Bay, people have to travel for hundreds of miles for one dental appointment. "When it comes to treating baby bottle tooth decay, there's literally no place to send these children for treatment," says Pontick. "Because they are so young, they require anesthesia for dentists to cap their teeth, and there is no where locally that does that. We send them to Sacramento or San Francisco for care, but it can be hard for these families to drive all that way." Pediatric Dental Initiative is working to correct this problem, planning an outpatient pediatric dental surgery center in northern Sonoma County, most likely on Airport Boulevard. The organization hopes the new facility will be open by the end of this year. Even the schools have a hard time figuring out where to send students with dental needs. "The referral services are quite limited," says Baker. "It's a strong area of need. It's not just caries and decay; it's things like orthodontia. Most services only accept the worst of the worst." Several years ago, Petaluma had a service where dentists donated time to serve low-income students who couldn't afford care. All the schools had to do was call and make an appointment for the child. Today, however, the program no long exists. It was too hard for some dentists to see patients who wouldn't follow their advice or didn't show up for appointments. "You can't blame [the dentists] for getting tired," says Baker. "One of them would make an appointment with a child to fix one problem, but when he got there, he would see a whole mouth full of cavities. So because he was a kind person, he would fix the whole mouth. Then, when he would see the child for a check up, there would be a whole bunch of new problems. So for some of them, it was too discouraging to continue." The DHA believes that the burden of the problem should not be on nonprofit organizations or private dentists. Instead, it is the state's job to fix. The group offers an ambitious list of recommendations that include funding for dental health, a dental exam for every kindergartner, new dental sealant and educational programs, an increase in the number of children exposed to fluoride treatment and new state employees to oversee the dental health department overall. Since the state is nowhere near meeting these goals, the DHA realizes they have a long way to go before there is much of a change. "We really think it's important for this state to take oral health seriously," says Grossman. "There are strategies to treat other diseases such as obesity and diabetes. We want to see the same steps for oral health as well."